I’m a board certified holistic nutritionist, who specializes in family nutrition, Hashimoto's and thyroid health. 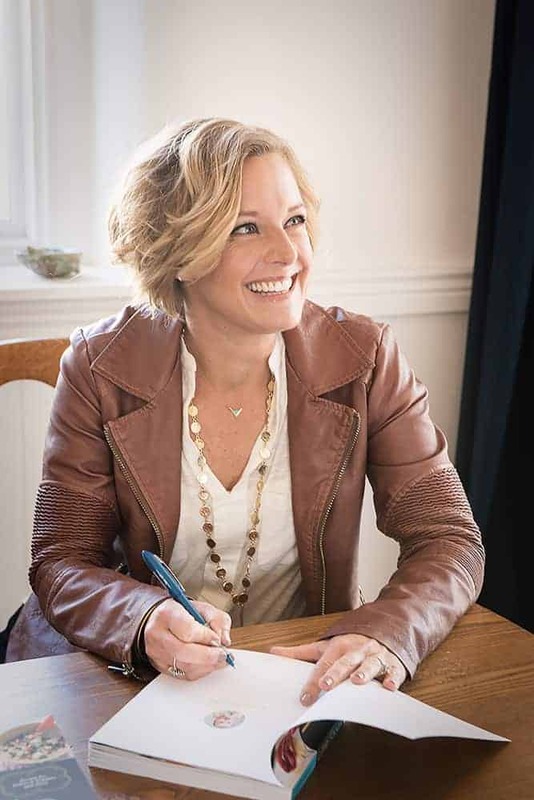 Nearly two decades of nutrition expertise, combined with my experience as a mom, has resulted in a formula for success in working with all of my clients. People with autoimmune diseases, thyroid disorders, digestive troubles, infertility, and food sensitivities. My wellness philosophy is holistic and realistic. I strive to change the way people view their bodies and encourage them to live healthier lives. You too can change your personal nutrition outlook and acquire the skills necessary to making lasting, positive changes. I can show you how. Click on the button that best describes your current health situation. I need a nutrition tune-up! You and your family have important goals and dreams. Healthy people can achieve anything! For me, everything I studied and mastered with nutrition really clicked when my kids needed nutritional support at an early age. Whether it was digestive, skin or behavioral issues, I knew as their mom, and as a nutritionist, that nutritional therapy was our foundation for true healing. My instinct to provide “food as medicine” has never let us down in any situation. Most diseases have a root cause. Years ago, while becoming a Master Nutrition Therapist (MNT), I applied holistic principles to my own life and healed (reversed!) my autoimmune diseases. The root of these disorders may be stress, poor food or lifestyle choices, prescriptions, genetics, a virus, or all of the above. Measure and assess your individual nutritional requirements. Listen to your body, slow down, take stock of what needs to shift. The following 90-minute presentation topics are great educational opportunities for any group. I love speaking and can come to your wellness community meeting, parent group, school, yoga workshop or any other venue. Please contact me to discuss pricing and scheduling for your organization. Corporate nutrition programs are designed to help your team be physically, mentally and emotionally fit. Customized group and individual formats are available. Clear Change Detox Program: In Just 10 Days Your Team Can Lose Weight, Boost Energy & Feel Great! The New Family Food Rules is the first family nutrition book by a board-certified holistic nutritionist and family nutrition expert. Sara Peternell, MNT, owns her own nutrition practice serving families and understands what really matters when it comes to food. Sara Peternell’s upcoming book, The New Family Food Rules, discusses the various needs of families, the importance of fun, the complexities of supporting different needs within a family unit, and includes the resources and tools to make planning and cooking easy, all while having a common sense approach. The New Family Food Rules will be an incredibly valuable guide for all families. What works in a family setting - to elevate the nutritional impact - without confusing recipes, meal plans, guilt, drama and dogma? 1) sort out family goals 2) create a vision for better health and nutrition 3) put the plan into action. The 3-step approach in The New Family Food Rules makes each family’s plan unique, customized, flexible, and quickly and easily adopted right away by each member of the family. "Read the book, do the worksheets, take the quizzes, find the foundation for your family and go from there!” - Sara Peternell, MNT Quizzes and worksheets help steer a family to the appropriate foundation plan, complete with guidelines, meal plan outlines, EASY recipes, snack lists, grocery lists, and more! The New Family Food Rules is hands-on, fun, and everyone gets to provide input (sections for parents AND kids to all fill out!). The New Family Food Rules is for families of all ages - from families with little babies, to picky toddlers, to school aged kids (think lunch boxes and soccer snacks! ), to crazy teens, and even for empty nesters or couples getting back to the basics for a family of two. I co-authored Little Foodie: Recipes for Babies and Toddlers with Taste, a best-seller on Amazon and in bookstores. This liberating cookbook is for the newest eater in your family and encourages foodie parents to think beyond the baby food aisle. You can find over 100 recipes for babies and toddlers, and for the whole family. The book includes detailed nutrition information and step-by-step support for introducing baby’s first foods. All your Q&A about feeding baby - and your family - can be found in one fun, and beautifully photographed cookbook. Ten Spring Inspired Baby Food Recipes is a gorgeous eBook with fresh, original and delicious spring fare just for babies. I co-authored this book, and provide all of the nutritional analysis of recipes and foods. You will enjoy making the recipes and feeding them to your little one. References about the health of the foods let you know you are on track for supporting baby’s health. 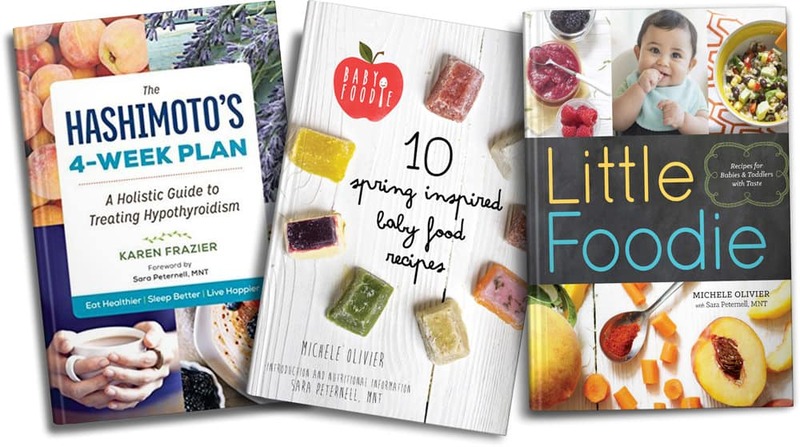 I wrote the forward for The Hashimoto's 4-Week Plan: A Holistic Guide to Treating Hypothyroidism because it took me years of trial and error and in-depth nutrition studies to find my way to better health. I wish I had had The Hashimoto’s 4-Week Plan when I was first diagnosed. This is the book I recommend to my own clients who come to me seeking nutritional advice for managing their Hashimoto’s. In order to serve families with the best, most current research and advanced nutritional science, I have attended numerous continuing education conferences, summits, trainings and workshops.